holding a brand new niece lots and lots. It makes me want to have another baby ( not now! )… but I have some husband convincing to do. I have a quilt all wrapped up for her… I’ll post a full picture tomorrow-ish. Everything is in various stages of completion…in between making lunches and running errands… somehow started things turn into finished things. 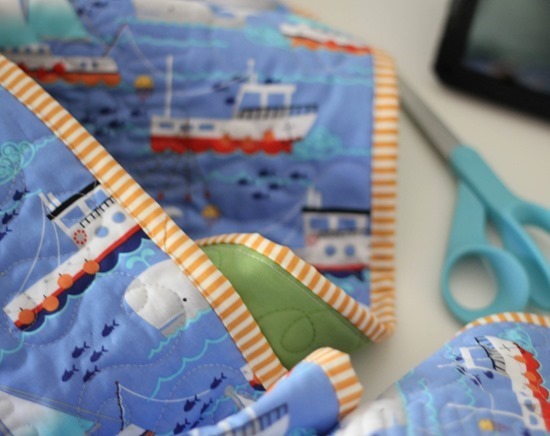 Isn’t that backing + binding cute? The backing is from here (and $6.50 a yard). 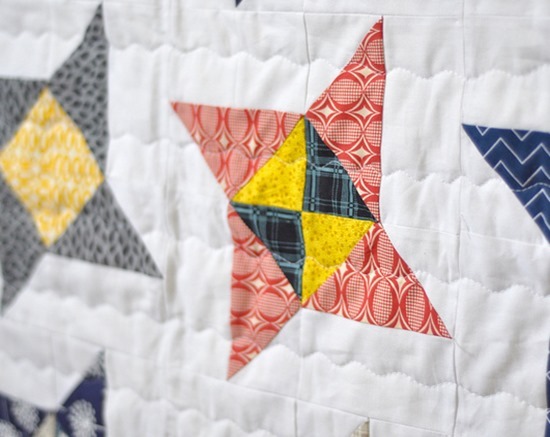 This quilt block tutorial my friend Amanda posted is too cute not to share. Her finished quilt is here. We had first time pig-tails over here yesterday. Mom (me) is really really horrible at doing little girls hair…especially wiggly 1 year old hair. Luckily I’ll have lots more time to practice! In last pic of this post.a litle babby is trying to see something and she is looking so cute..
oh those pig-tails are adorable! Beautiful….love how your daughter is standing on her tip toes too. Love all the photos ~ especially of your little girl in pigtails and tutu on tiptoes! Adorable! 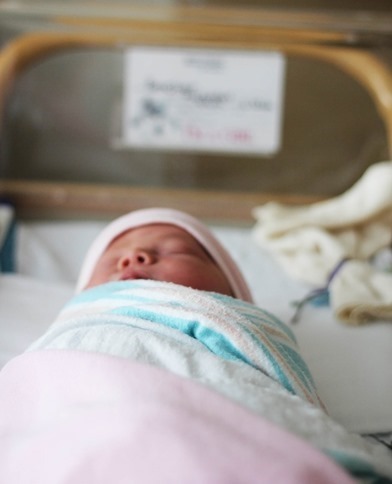 I had two boys before I had a little girl, too, and here's my advice – take it or leave it! :) she had NO HAIR on top, so it was super hard to do unless it was wet and gelled. Plus, she was old enough that she was past the "training" age, so I had to figure out a way for it to be fun enough for her to not hate it. So, my favorite time to wrangle the little scamp was just after I finished my breakfast, when she was still finishing up. She was contained, so she didn't have far she could go, and she was occupied, so she tended not to give me too much trouble. After a little while, it got easier and faster, and she got old enough to play the "look at the clock and see when the number changes" game. Fun times! Oh this is just so precious…what a beautiful blessing your grand niece will be in your life :) m.
Sophie is such a doll! Your niece looks so peaceful. Having 3 girls myself, it's not us: it's their hair and wiggly bodies! Your daughter is too cute! And congrats on your new little niece. Love her lots, Auntie!! So much cuteness in one blog post! Thanks so much for all of the wonderful posts and insight. the star pattern is nice, can't wait to try it out. Can't wait to see the full quilt. 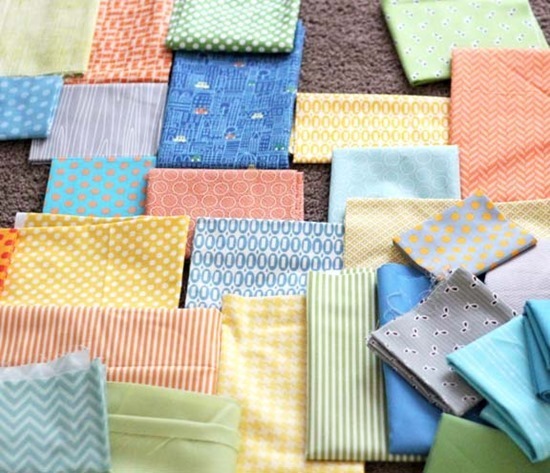 I am in love with that pile of fabrics in your first photo. Love the colors and prints that you put together! I don't know why, but every time my DIL did pigtails on my granddaughter when she was little, I called them "atomic pigtails," SO cute–I was just in love with them. Your posts are always such fun. Oh my goodness, that little girl…! And how do you do it all? I love this post! All beautiful photos and your niece and daughter are just adorable! As the mother of 3 daughters, and 4 grand daughters I think unless you strap them to a chair in a straight jacket and duct tape they are always crazy, wee whaw. Very cute though. Beautiful, and don't worry. It has take me almost 4 years to get doing a little girls hair down. Keep working at it and the moving target will be nothing. your one year old is adorable. I love the pig tails. As you do it more it will become natural. Just like sewing. Congrats on a new neice. 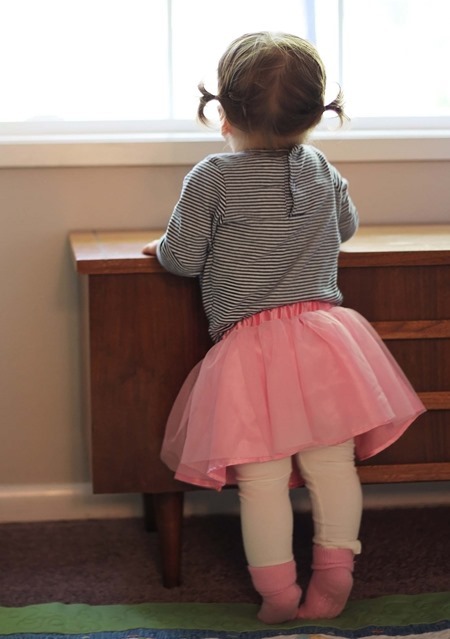 piggy tails and pointy toes – perfection! I love those chubby little legs in tights! I have 3 boys. Never did get the hair thing down and had a girl with major curls-I kept it short and it looked great for years. Your quilt looks so cute, I await the big reveal and the great niece. Unable to have further kids, I now take care of others' babies-one or two at a time. And I send them home at suppertime. I sleep a bit better at night without them here–but only a bit !~! My baby girl is expecting her first child in August. She referred to those as "pony tangles". Love those sweet baby legs! 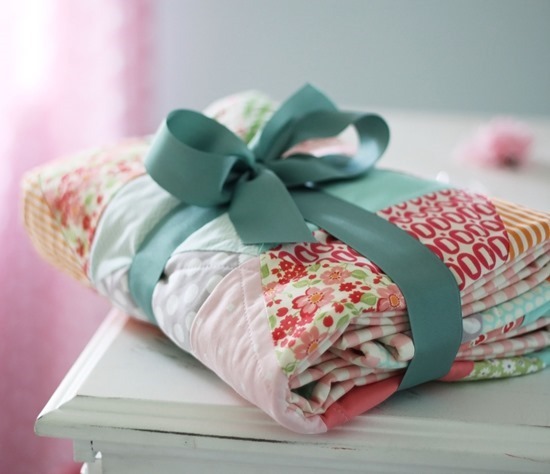 Okay, we love your quilts, but we really really love that cute baby girl with weeny pigtails standing on her tippytoes. My granddaughter is four now, and I miss seeing this stage of life. Congrats on all that you've accomplished Cindy of Life a Colorful Life told me to get over here and take a look. I've added you to the Bloglovin' list I've started. Looking forward to seeing more of your projects (scanned the blog and they look lovely).